September 5, is when we are all obliged to pay our reverence to our former president, a great scholar and teacher Dr. Radhakrishnan. 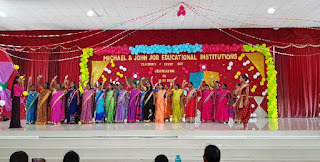 On this day, Michael Job Matriculation Higher Secondary School too paid homage to Dr. Radhakrishnan in the morning assembly. The higher secondary students shared a lot of information about him and explained why we celebrate his birthday as Teachers day. Following the informative speech, school students presented gifts to all their teachers and the support staff. The teachers were escorted into the auditorium by MJC band troop. 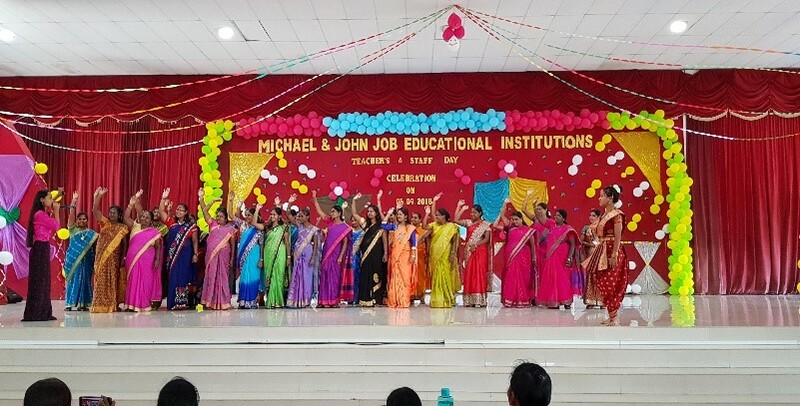 The faculty of Michael Job Arts & Science College too joined us in the celebration. The day had colorful presentations on the stage. 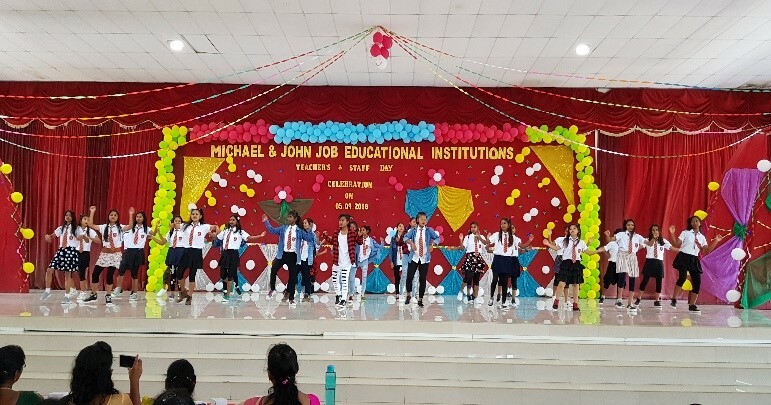 The students gave solo & group dances. 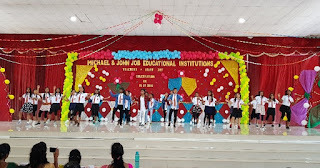 A skit too was enacted on the stage by Class X students. A cultural program was conducted after which, lunch was organised. Post lunch, there were competitions for school teachers on Rangoli, Flameless Cooking and Cat walk. The teachers were divided in teams and each team participated with zest. The winning teams of the competitions were given cash prizes.